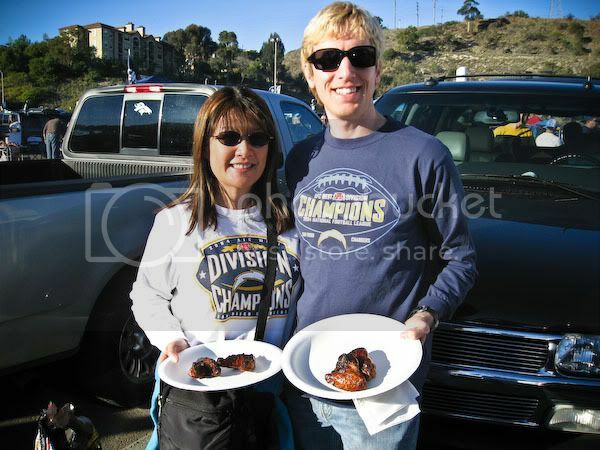 Fabulous Adventures of Listgirl: Go Chargers! 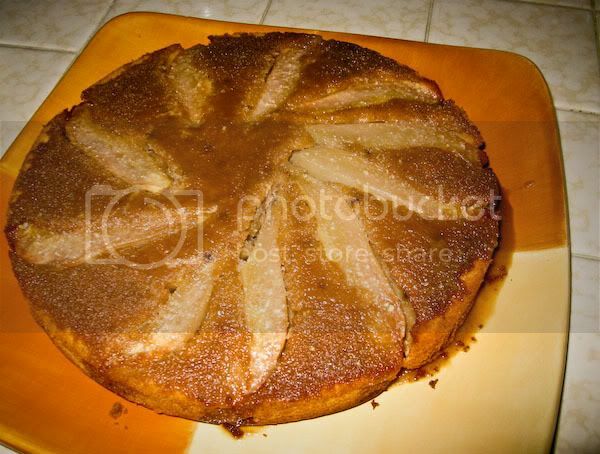 On Sunday Todd made two spice pear upside-down cakes. 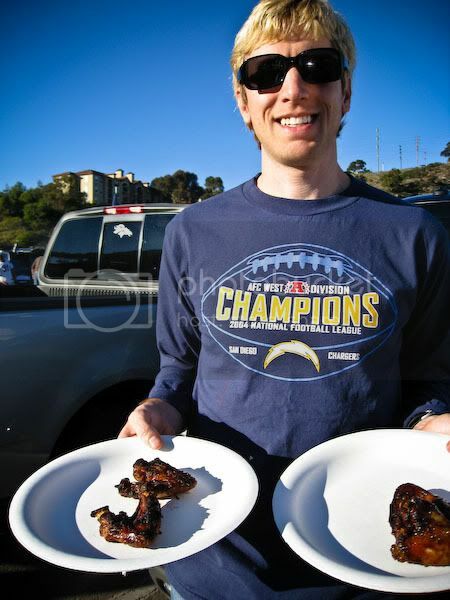 One for the Chargers tailgate hosted by Lee, my friend from work, and one for us, half of which we gave to our next door neighbors Fred & Annie. We left for Qualcomm Stadium around 12:50 PM. It took a LONG time to get there because of the heavy traffic. We parked in a parking lot right outside the main entrance to the stadium. It wasn't until after we pulled in that the lady asked for $25. Ouch! 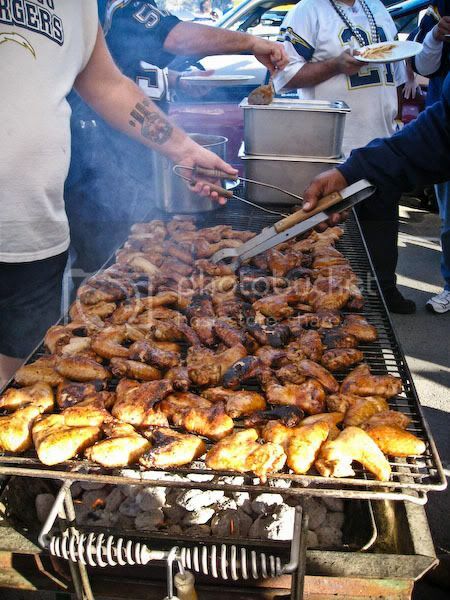 Then we had to walk to the stadium and walk across the parking lot to E4, where Lee's tailgate is always at. As soon as Todd put down his cake, people started digging into it! Before we knew it, half of it was gone, and this guy was running around asking who made it because his wife wanted the recipe. Todd confessed eventually, LOL. We kicked ourselves because we forgot our tailgating chairs, again. We always forget and then we don't have a place to sit. 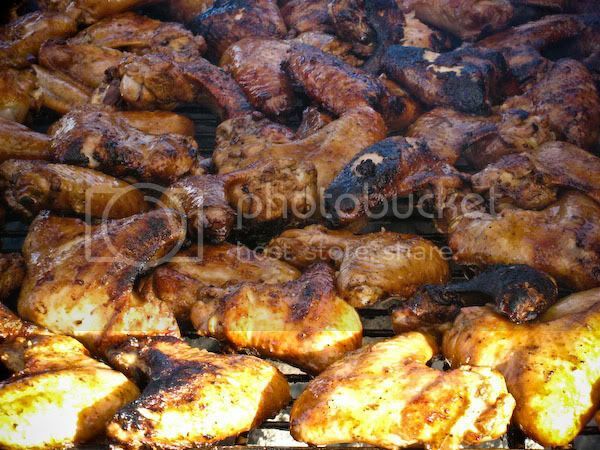 I had some chips, layered taco dip, salad, and Lee's FAMOUS marinated and grilled chicken wings. People, you have to understand that I go to all this trouble so that I could go to Lee's tailgate, you know why? Because of the chicken wings. Seriously SO good! Many a people have asked him for the recipe and he refuses to share. It's just THAT good. I had five of them because I just love them so much! It was a beautiful sunny day too. We didn't have tickets to the game, so we left around 4:15 to go home and watch it at home. Chargers totally beat up on the Broncos 52-21 and clinched the AFC West Championship again. It was truly a miracle since they were three games behind the Broncos with three games left. Next up is Saturday's playoff game against the Indianapolis Colts.